phosphate ions are deposited in bone matrix by stimulating activity of osteoblasts. Calcitonin also increases the excretion of calcium ions and phosphate ions by the kidneys. Calcitonin secretion is stimulated by a high blood calcium ion concentration, as may occur following absorption of calcium ions from a recent meal. Certain hormones also prompt its secretion, such as gastrin, which is released from active digestive organs. Calcitonin helps prevent prolonged elevation of blood calcium ion concentration after eating. Research suggests that calcitonin may be most important during physiological stress. For example, its actions help protect bones from resorption during pregnancy and lactation, when calcium is needed for growth of the fetus and biosynthesis of breast milk. In the young it stimulates the increase in bone deposition associated with growth. Table 13.6 summarizes the actions and sources of control of the thyroid hormones. Clinical Application 2.1, table 13.7, and figures 13.19, 13.20, and 13.21 discuss disorders of the thyroid gland. 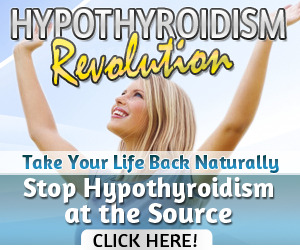 Which hormones of the thyroid gland affect carbohydrate metabolism and protein synthesis? What substance is essential for the production of thyroxine and triiodothyronine? How does calcitonin influence the concentrations of blood calcium and phosphate ions? On a spring morning in 1991, U.S. President George Bush set out on his daily run. After only a few hundred yards, he stopped, winded and experiencing an irregular heartbeat. 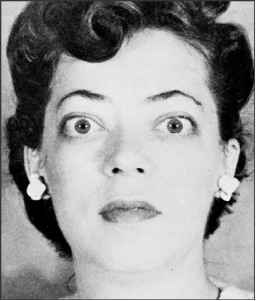 Over the preceding two months, his wife, Barbara, had inexplicably lost 18 pounds, and her eyesight had become blurry and her eyes dry. Both Bushes were feeling unusually fidgety. Blood tests found that they had hyperthyroidism—and so did their dog, Millie. Because of the three cases, the White House environment was carefully studied, but no cause was ever identified. 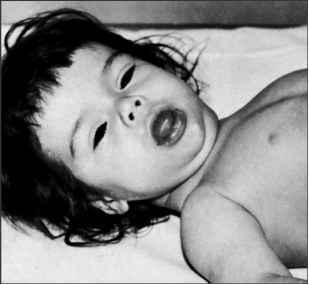 Cretinism is due to an underactive thyroid gland during infancy and childhood. Hyperthyroidism may cause the eyes to protrude. 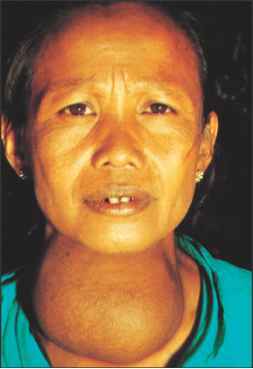 An iodine deficiency causes simple (endemic) goiter and results in high levels of TSH. a hormone that regulates the concentrations of calcium and phosphate ions in the blood. Each parathyroid gland is a small, yellowish brown structure covered by a thin capsule of connective tissue. The body of the gland consists of many tightly packed secretory cells that are closely associated with capillary networks (fig. 13.23). 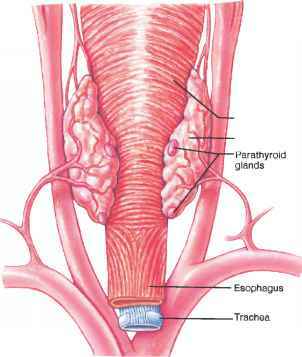 The parathyroid glands secrete a protein, parathyroid hormone (PTH), or parathormone (see fig. 13.3). This hormone increases blood calcium ion concentration and decreases blood phosphate ion concentration through actions in the bones, kidneys, and intestines. The intercellular matrix of bone tissue contains a considerable amount of calcium phosphate and calcium carbonate. PTH stimulates bone resorption by osteocytes and osteoclasts and inhibits the activity of osteoblasts (see chapter 7, p. 200). As bone resorption increases, calcium and phosphate ions are released into the blood. At the same time, PTH causes the kidneys to conserve blood calcium ions and to excrete more phosphate ions in the urine. 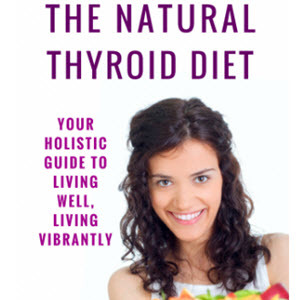 It also indirectly stimulates absorption of calcium ions from food in the intestine by influencing metabolism of vitamin D.
The parathyroid glands are embedded in the posterior surface of the thyroid gland. Light micrograph of the parathyroid gland (540x). Capillaries wavelengths of sunlight changes it to vitamin D. Some vitamin D also comes from foods. The liver changes vitamin D to hydroxycholecalcif-erol, which is carried in the bloodstream or is stored in tissues. When PTH is present, hydroxycholecalciferol can be changed in the kidneys into an active form of vitamin D (dihydroxycholecalciferol), which controls absorption of calcium ions from the intestine (fig. 13.24). A negative feedback mechanism operating between the parathyroid glands and the blood calcium ion concentration regulates secretion of PTH (fig. 13.25). As the concentration of blood calcium ions rises, less PTH is secreted; as the concentration of blood calcium ions drops, more PTH is released. Cancer cells in nonendocrine tissues sometimes secrete hormones, producing symptoms of an endocrine paraneoplastic syndrome. A patient with this unusual syndrome in 1994 led to discovery of a new hormone. In a middle-aged woman with oncogenic osteomalacia, a small tumor in the soft tissue of her thigh disrupted phosphate homeostasis, causing her bones to demin-eralize, leading to her bone pain. To the surprise of medical researchers, the tumor was not producing parathyroid hormone but a new hormone, tentatively named phosphaturic factor, which increases excretion of phosphate in urine, weakening the bones. The woman recovered when her tumor was removed, but it grew back and symptoms returned. The opposite effects of calcitonin and PTH maintain calcium ion homeostasis. This is important in a number of physiological processes. For example, as the blood calcium ion concentration drops (hypocalcemia), the nervous system becomes abnormally excitable, and impulses may be triggered spontaneously. As a result, muscles, including the respiratory muscles, may undergo tetanic contractions, and the person may die due to a failure to breathe. In contrast, an abnormally high concentration of blood calcium ions (hypercalcemia) depresses the nervous system. 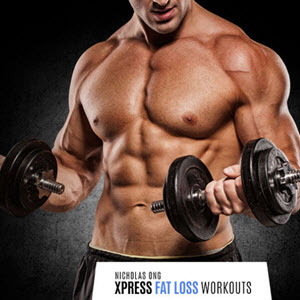 Consequently, muscle contractions are weak, and reflexes are sluggish. Table 13.8 lists parathyroid disorders. 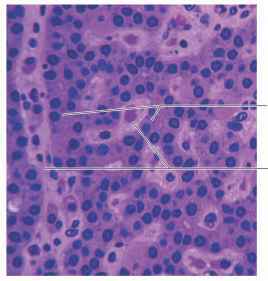 H Where are the parathyroid glands located? ^9 How does parathyroid hormone help regulate the concentrations of blood calcium and phosphate ions? ^9 How does the negative feedback system of the parathyroid glands differ from that of the thyroid gland? Mechanism by which PTH promotes calcium absorption in the intestine. like a cap and is embedded in the mass of adipose tissue that encloses the kidney. (fig. 13.26). The central portion is the adrenal medulla, and the outer part is the adrenal cortex. These regions are not sharply divided, but they are distinct glands that secrete different hormones. The adrenal medulla (ah-dre'nal me-dul'ah) consists of irregularly shaped cells grouped around blood vessels. These cells are intimately connected with the sympathetic division of the autonomic nervous system. In fact, these adrenal medullary cells are modified post-ganglionic neurons, and preganglionic autonomic nerve fibers lead to them directly from the central nervous system (see chapter 11, p. 438). The adrenal cortex (ah-dre'nal kor'teks) makes up the bulk of the adrenal gland. It is composed of closely packed masses of epithelial layers that form an outer, a middle, and an inner zone of the cortex—the zona glomerulosa, the zona fasciculata, and the zona reticularis, respectively (fig. 13.27). The cells of the adrenal medulla (chromaffin cells) produce, store, and secrete two closely related hormones, epinephrine (ep"I-nef'rin), also called adrenalin and norepinephrine (nor"ep-i-nef'rin), also called noradrenalin. Both of these substances are a type of amine called a catecholamine, and they have similar molecular structures and physiological functions (fig. 13.28). In fact, epineph-rine is synthesized from norepinephrine. The synthesis of these hormones begins with the amino acid tyrosine. In the first step of the process, an enzyme (tyrosine hydroxylase) in the secretory cells converts tyrosine into a substance called dopa. A second enzyme (dopa decarboxylase) changes dopa to dopamine, and a third enzyme (dopamine betahydroxylase) converts dopamine to norepinephrine. Still another enzyme (phenylethanolamine N-methyltransferase) converts the norepinephrine to epinephrine. About 15% of the nor-epinephrine is stored unchanged. The hormones are kept in tiny vesicles (chromaffin granules), much like neuro-transmitters are stored in vesicles in neurons. The effects of the adrenal medullary hormones generally resemble those that result when sympathetic nerve fibers stimulate their effectors. These effects include increased heart rate and increased force of cardiac muscle contraction, elevated blood pressure, increased breathing rate, and decreased activity in the digestive system (see table 11.10). The hormonal effects last up to ten times longer than the neurotransmitter effects because the hormones are removed from the tissues relatively slowly.